CAIF helped with KindWorks aparment set up. "This weekend, we set up our first apartment for a woman who had escaped a domestic violence situation, and her three young boys. Our new friend and her kids, ages 6, 4, and 2, moved out of the shelter and into a 2-bedroom apt about a week ago; they didn't have any furniture. But they do now :-) A real home to nest in, as they await their newest arrival - a baby girl, in April! Our friend was overwhelmed with the 20+ group of volunteers who gathered to help set up, and with all the various items that had been collected, from beds and dressers to toiletries and towels, to toys and books, to a black panther comforter that was a huge hit -- and the most adorable pink onesies! She wanted to share a message with all of us: "You think you're alone; but you're not. 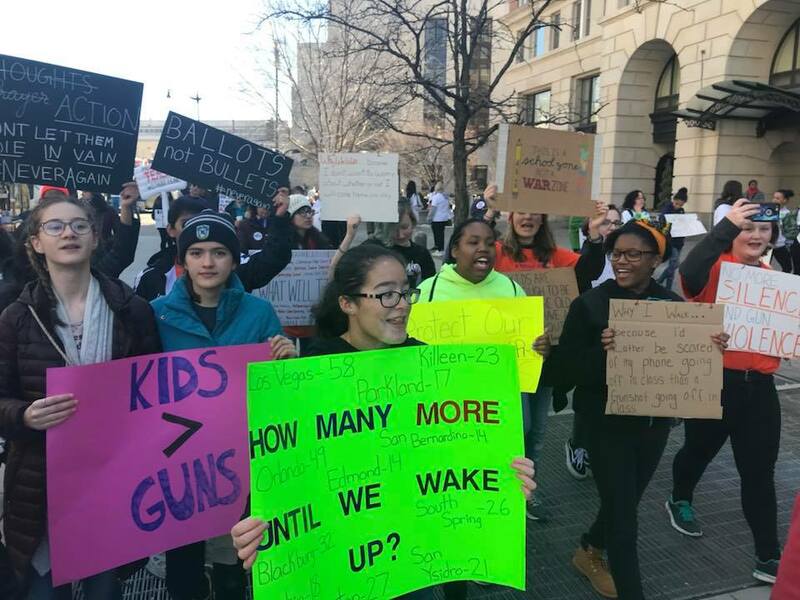 Look at all these people; look how much they care. I just want to thank you all so much."" 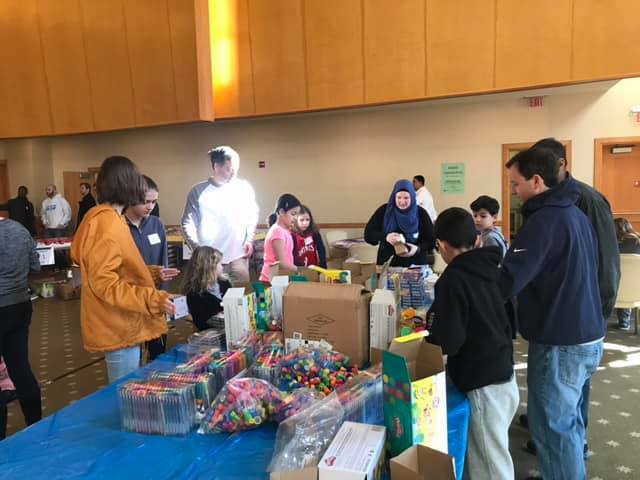 CAIF had a blast participating in the Washington Hebrew Congregation MLK Day of Service. We ran a station that packed 560 goodie bags with playing cards, fidget spinners, stamps, gel pens and other fun stuff for kids at local elementary schools. We also participated in various food packing projects for the hungry and homeless and blanket making. What an amazing day! Thank you WHC for making it so easy and fun to make a difference. As always CAIF has a wonderful time preparing and eating a meal with the women at Calvary Women’s Shelter in DC. Talking over dinner is the highlight. We talked about our families, favorite foods, where we go to school, our plans for when we growup. 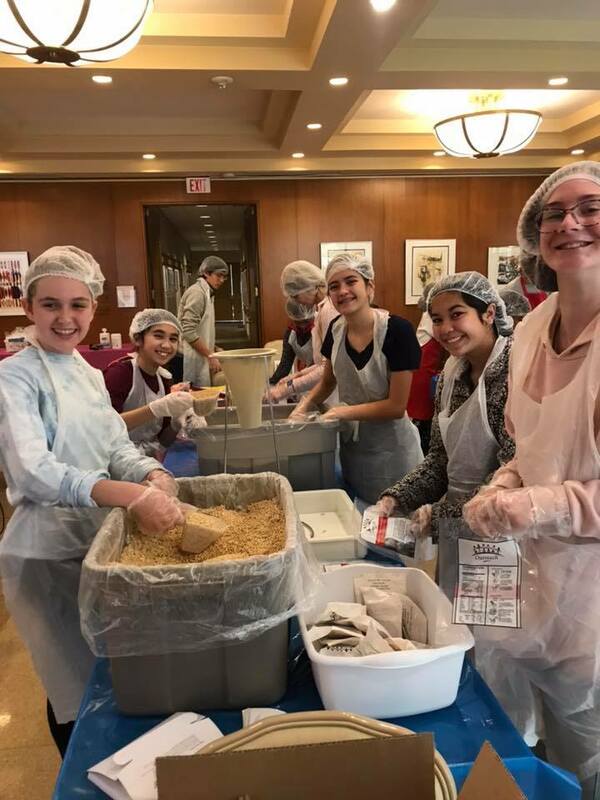 CAIF helped pack 12,000 meals for the hungry in the DC area at Washington Hebrew Congregation. CAIF attends the Unity Walk! On Sunday CAIF went to the Unity Walk! Co-leader Julia was filmed asking a Jewish faith leader questions about their faith for an IFC project. 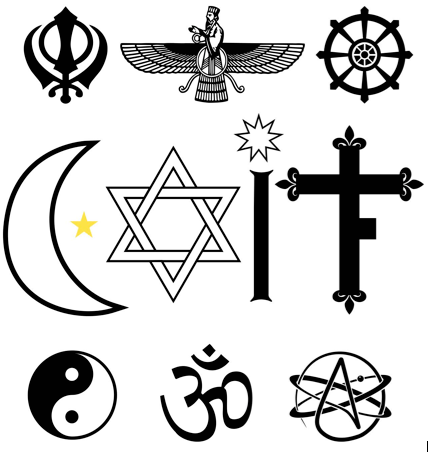 We visited a Jewish Synagogue, Sikh Gurdwara, Buddhist temple, Russian Orthodox Church and the Islamic center this year and saw many old friends and made some new ones too. It was neat seeing the Interfaith hospitality—the Russian priest greeting Muslim visitors with “Salaam Alaikum” and the Mormon Elders greeting at the Islamic Center where we saw an interfaith choir perform and visited the sanctuary. 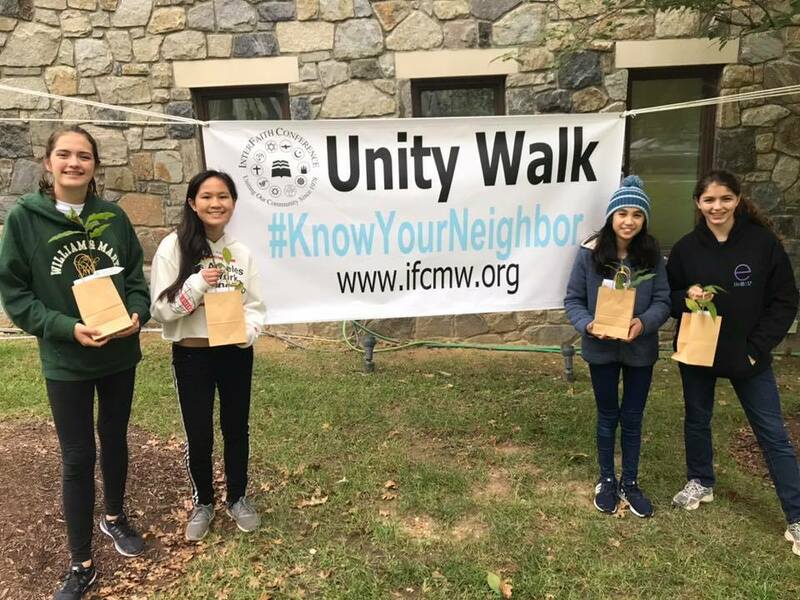 At the Buddhist Temple, Interfaith Power and Light was providing tree seedlings to plant to help the environment. We set up another apartment for an arriving refugee family with KindWorks. The family is 2 parents, 4 girls and 3 boys. We took an empty apartment and donations and created a welcoming home. We wish this family the best in America. CAIF families helped KindWorks set up another apartment for newly resettled refugees. 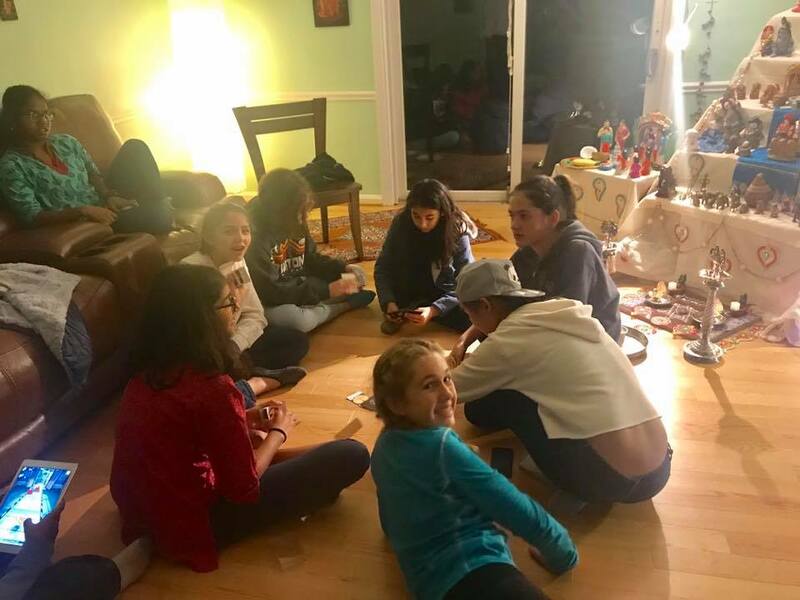 "Many hands" truly "made light work" as about 20 volunteers from ages 6-60+ transformed the piles of donations into an inviting home for a family from Eritrea. The neighbor also helped. They are also from Eritrea and have a child of similar age! 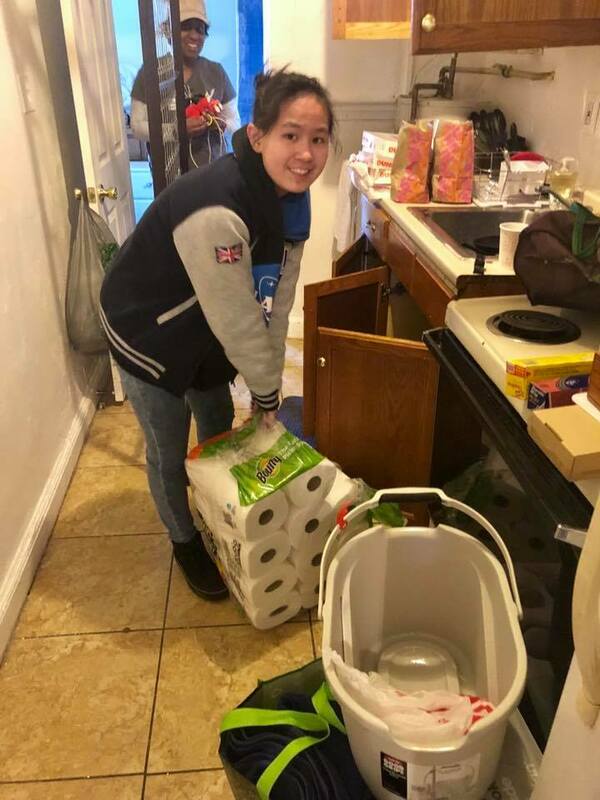 One can imagine the stress of a move, needed because of instability in one's home country, and it is so meaningful to be able to hopefully ease the transition by having an inviting home set up with all the essentials, from toiletries to toys. 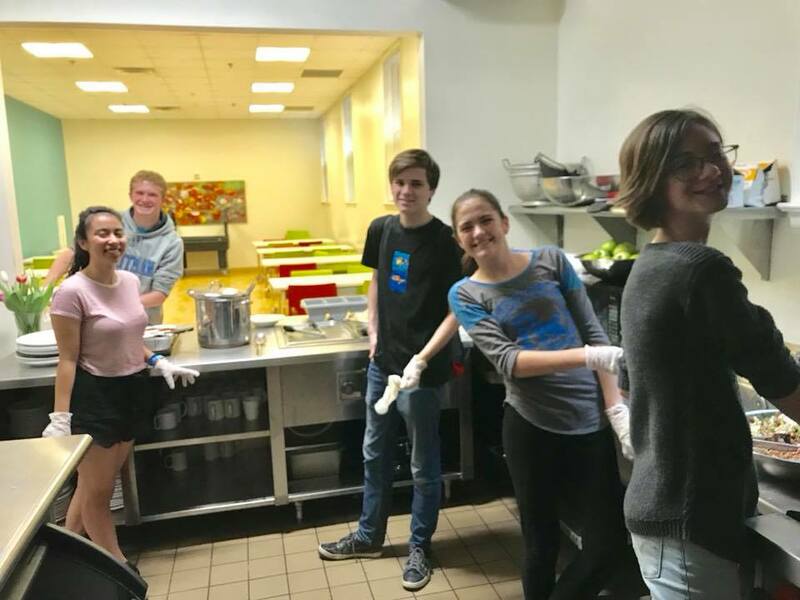 KindWorks always sees the pantry is stocked with culturally relevant food and usually a fresh home cooked meal from their culture. CAIF prepared and served a great Italian dinner with the women at Calvary and great conversation over dinner as always.